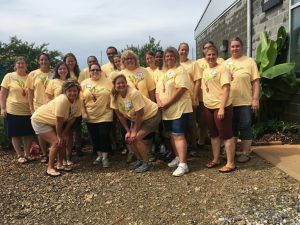 With support from USDA NIFA, Grow It Know It is partnering with Barrow County Extension and the University of Georgia to run summer intensive training workshops and year-long professional development for teachers and school nutrition staff from Barrow County. 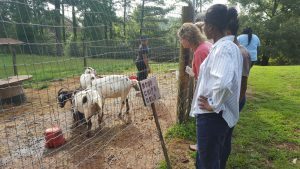 This program will develop and pilot professional development for k-12 teachers and nutrition staff to improve education focused on food safety, nutrition, and health through hands-on, experiential, garden and food based teaching and learning. training activities, and will receive additional garden and curriculum supplies. 3) One school team in each the 2018-2019 and 2019-2020 school years will be eligible for a $6,000 grant, and continued yearlong consulting from Program Coordinator. 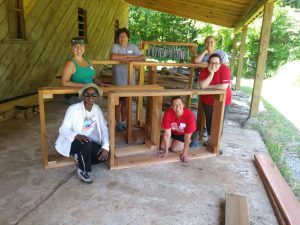 4) An AmeriCorps VISTA will be hosted by UGA Office of Service Learning, paid by BCSS, to assist with carrying out various programs components. Andie Bisceglia, Program Coordinator, at abiscegl@uga.edu.